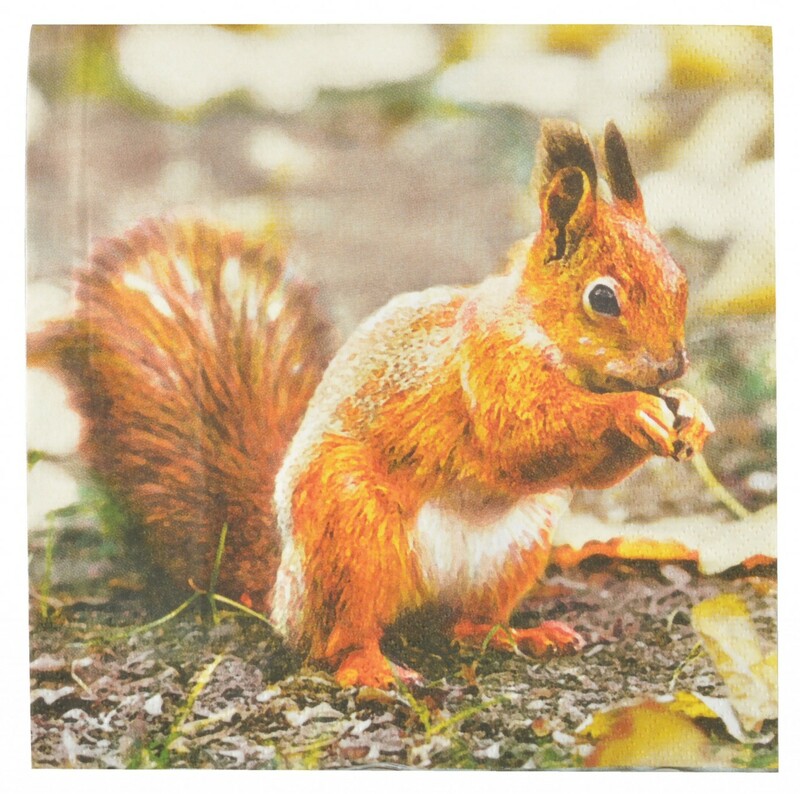 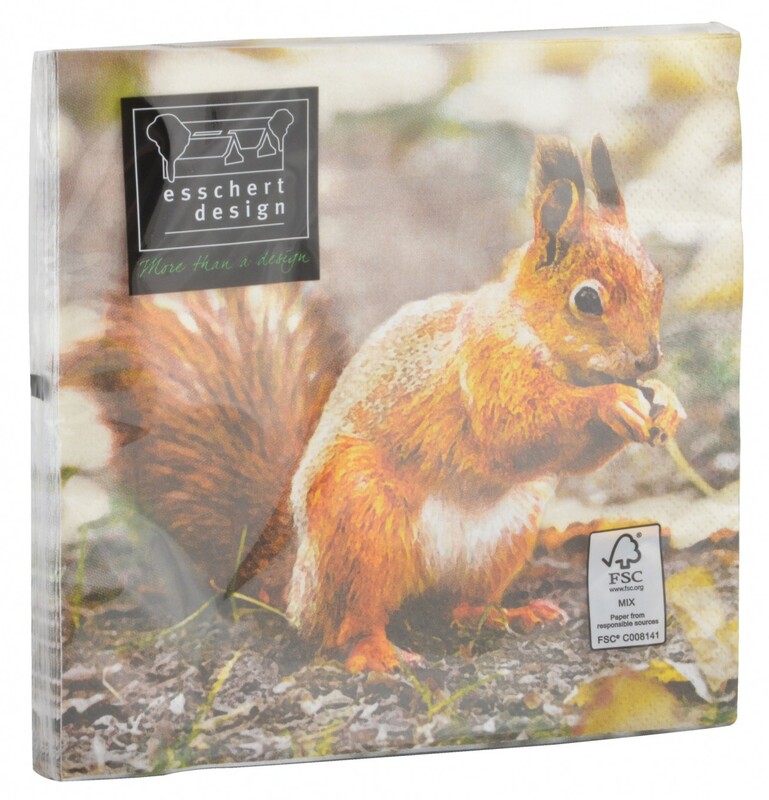 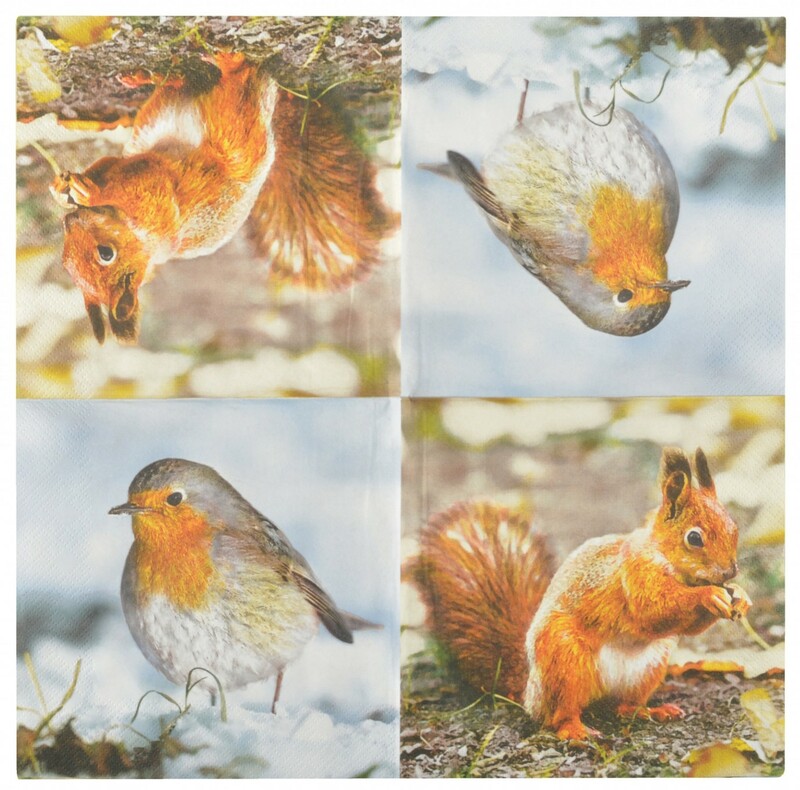 Robin & Squirrel Paper Napkins are a beautifully festive addition to a country dining table for the build up to or actual Christmas Day. 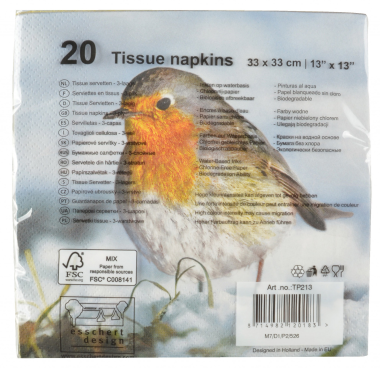 Alternatively use them to serve with party food at Christmas parties or the New Year. 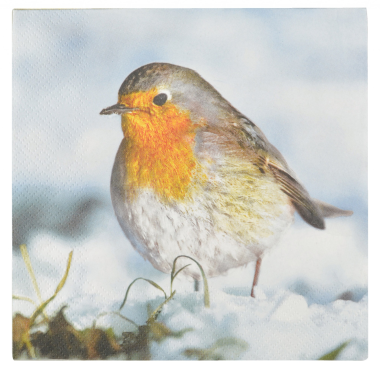 Each napkin features wintery illustrations of a red squirrel and a robin both in the snow (both designs appear on the product).